What is the difference between Sports Medicine Acupuncture® and IMS? This is a question that comes up frequently in my acupuncture practice. Patients are asking “do you do IMS (intramuscular stimulation)?” or “do you do that deep needle technique?” The simple answer is “yes.” I do both and have been for the last 19 years. Both systems have proven themselves to be very effective in pain relief, and both use acupuncture needles for treatment. Registered Acupuncturists have over 1900 hours of training over a 3 year period with a minimum of 450 clinical hours. Comparatively, the IMS/acupuncture training for western trained practitioners, such as physiotherapists, is usually completed over several weekends. 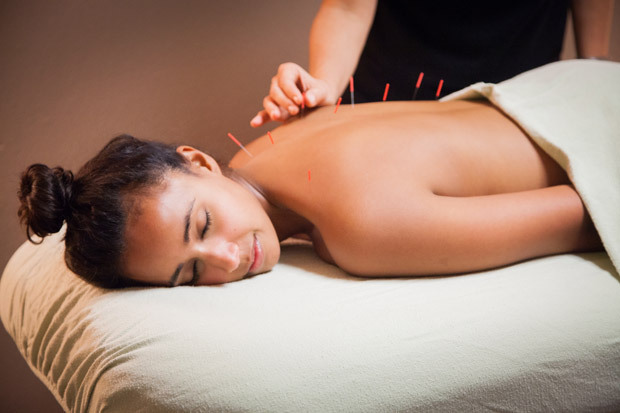 Acupuncture and traditional Chinese medicine (TCM) date back thousands of years. The medicine is rooted in the concept that ‘Qi’ or vital energy flows through energy meridians in the body, which today has been found to be the “power of the nerve and the nerve’s ability to nourish and regulate the tissues”. There seems to be the notion that acupuncturists don’t have or use knowledge of anatomy when it comes to diagnoses and treatment. This is not true at all especially for those trained in Sports Medicine Acupuncture®. What is Sports Medicine Acupuncture®? Sports Medicine Acupuncture® (SMA) incorporates principles and techniques from Traditional Chinese Medicine (TCM) and Western Sports Medicine to assess and treat the patient’s injury from a true integrated perspective. SMA uses functional anatomy, range of motion testing, orthopedic examinations, manual muscle testing and palpation to identify the injured tissues. Postural and associated muscle imbalances are assessed through static and functional movements which guide the practitioner to understand how and why the injury occurred. After an assessment is complete, both classical acupuncture points and points that relate to tightened or tender muscle areas are selected. These later points are called motor points. The motor point is defined as the most excitable area of a short contracted muscle. Acupuncture to the motor point resets the tight muscle. This can be likened to pushing the refresh button on your computer screen. Needling the motor point will improve both range of motion and muscle strength post treatment. How does an SMA treatment differ from an IMS treatment? The difference lies in the selection of the accompanying acupuncture points. The SMA practitioner will always select acupuncture points along the affected myofascial chains, utilize motor points and also “empirical” distal points that have been scientifically researched to show influence over a variety of pain areas. Needling the local muscle points only will never yield the same results as when combined with a comprehensive point selection that the SMA practitioner utilizes. Sports Medicine Acupuncture® encompasses not only local points but also points along the myofascial chain that directly contribute to the patient’s injury or pain. The patient is more than their injury and SMA incorporates powerful TCM methods to enable the patient’s ability to HEAL their injury. SMA has more educational training, a comprehensive point selection and the methods to treat the patient and their injury. I always combine the best of east and west medicine to offer the patient body the best healing environment. Many extended health care plans run the calendar year. If you have remaining coverage for acupuncture then now is a good time to book an appointment. I am pleased to announce that I have opened my schedule and am now working on Mondays. The hours are between 10:00 am and 3:00 pm. For the past few years we have been offering trigger point injection therapy to patients. Meeting the needs of patients with safe and effective interventions has been and will continue to be the primary objective. What is sports medicine acupuncture® and how can it help you? Sports medicine acupuncture® incorporates principles from Traditional Chinese Medicine (TCM) and Western Sports Medicine to view the patient’s injury from a truly integrated perspective.